OS Grid Reference: SE 05080 11474. At the base of a memorial to the Lancashire poet Samuel Laycock in Marsden Park at Marsden, 8 miles southwest of Huddersfield, west Yorkshire, there is a curious carved stone, which has been called ‘Celtic’ by local historians down the years. It is strangely carved with elements of nature that do indeed seem to be “Celtic” in origin. However, the stone is more likely to be late medieval. But where did this curious carved stone come from? No one seems to know. Maybe it came from some Medieval church or priory (though there is no record of that), or from some sacred grove beside a riverbank. The monument was actually set up to commemorate the Lancashire dialect poet Samuel Laycock (1826-93) who was born in Marsden, but his poetry was mostly about Lancashire and the ‘hardships’ of the Cotton Industry. Laycock died in Blackpool, Lancashire. The monument with its curious carved stone stand close by the bandstand in Marsden Park near Carrs Road. So just head for the bandstand and the monument is on the other side – just opposite the war memorial – dedicated to local men who died in the Great War. 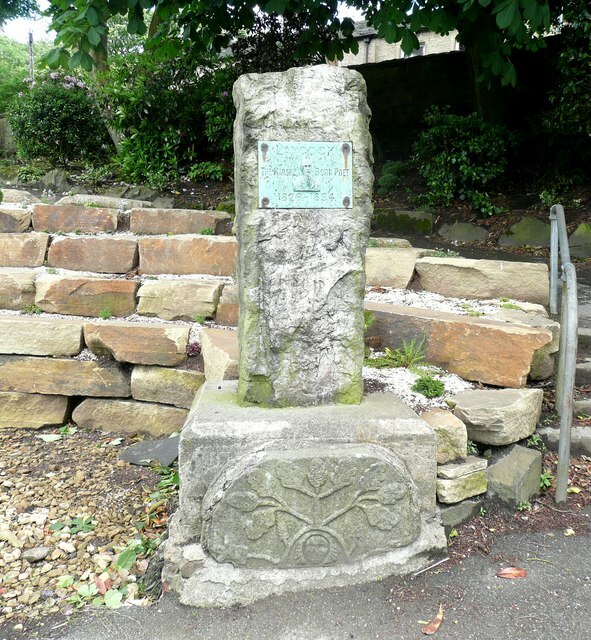 Celtic Stone in Marsden Park, at Marsden, west Yorkshire. Apparantly the curious carved stone was found at Marsden in the late 19th century and then in 1911 it was seen fit to place it at the base of Samuel Laycock’s memorial in Marsden Park. But why? Maybe it was seen as ‘a fitting tribute’ to such a great poetic genius for Samuel Laycock was just that. The stone is thought to be Late Medieval and to date probably from somewhere be-tween the 14th-16th centuries, but could it be much earlier? A few local historians have con-sidered it to be Celtic in origin! Well at least the carvings look to be Celtic! And also carved on the stone is what looks to be the head of a Celtic sun god with sunrays radiating from it. Or is this carving a depiction of ‘The Tree of Life’- maybe. 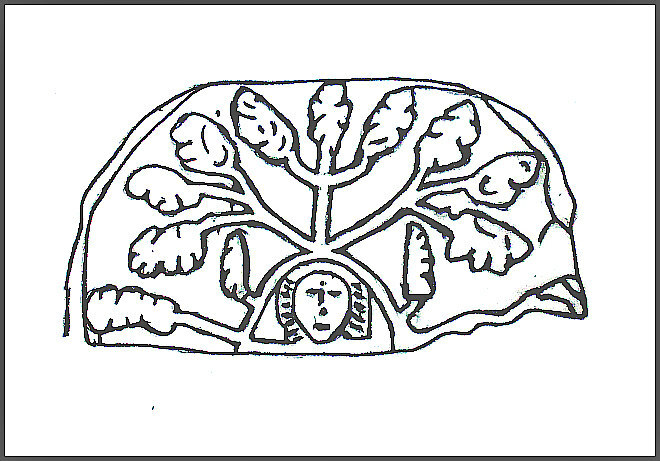 Another theory being that the oval-shaped face is that of a Celtic saint complete with a halo; the crown of oak leaves being associated with saints of the Old British Church both in folklore and literature. Fletcher, David & Ellis, David, (Reading the Environment article), Pennine magazine (No 5), Pennine Heritage Ltd., Pennine Development Trust, Hebden Bridge, West Yorks, June/July 1980. Categories: Misc Subjects | Tags: Medieval Stone Carving in Marsden Park at Marsden in West Yorkshire | Permalink.